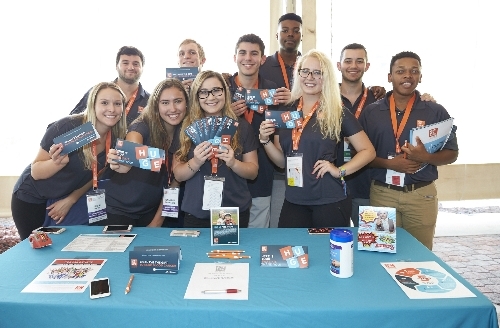 More than 80 students from universities across the United States gathered at Gift of Life’s 3rd Annual Campus Ambassador Symposium held in Boca Raton from August 6 – 8, 2017 to train as on-campus representatives for the organization. During three days of workshops, the students learned to organize and promote donor drives, leverage social media and recruit and manage volunteer teams. During the upcoming academic year, the ambassadors, also known as CAPs, will recruit donors to the registry among the demographic most requested by transplant centers, 18 to 25 year olds. Transplant outcomes are known to be better when younger donors are available. The new and returning ambassadors had the opportunity to witness the results of finding a matching donor for a patient when a 68-year old marrow transplant recipient was introduced to his 21-year-old donor, himself a former Campus Ambassador. 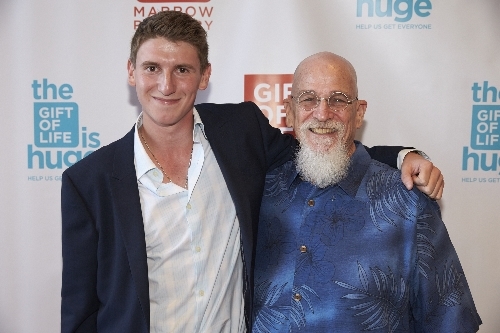 Donor Harrison Cohn joined the Gift of Life registry in December 2014 at a recruitment drive held in Short Hills, New Jersey and donated his peripheral blood stem cells just a year and a half later in June 2016. Cohn, who served as an ambassador at Indiana University for the 2016-17 academic year, feels as though he is the lucky one for having the opportunity to share his good health with someone in need. His transplant recipient, Sandy Singer of Las Vegas, Nevada, was diagnosed with Myelodysplastic Disorder in 2015 and after a match was not found in his family, he turned to Gift of Life. Singer, who served two tours in Southeast Asia as part of the United States Air Force and worked in aviation for 50 years, has now returned to working full-time as an aircraft mechanic at JetBlue Airways. 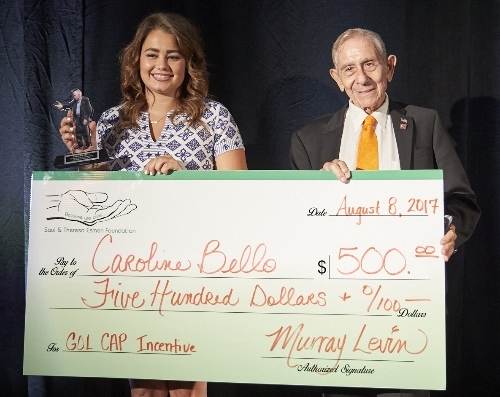 The Saul and Theresa Esman Foundation, sponsor of the Campus Ambassador Symposium, honored George Washington University ambassador Caroline Bello as the 2016-17 Most Valuable CAP. The foundation’s Executive Director, Murray Levin, presented her with a $500 check. During her three-year tenure as an ambassador, Caroline organized 43 donor drives where she and her volunteers swabbed 1,165 new donors and raised $2,700 to fund the processing of swab kits. The first marrow transplant from Caroline’s donors happened in March 2017, and more will follow. To date, the Campus Ambassador Program has facilitated 22 transplants of bone marrow or peripheral blood stem cells for cancer patients. If you’re a college student in the United States or Israel and would like to learn more about the Campus Ambassador Program, visit www.campusambassador.org. Applications will be accepted in December for the spring 2018 semester.